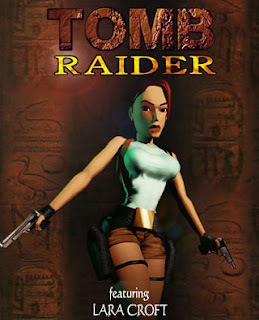 Lara Croft, daugther of Lord Henshingly Croft, was raised to be an aristocrat from birth. After finishing attending school at the age of 21, Lara's marriage into wealth has seem assured, but on her way home from a skiing trip, her chartered plane had crashed deep in the heart of the Himalayas. Being the only survivor, Lara learned how to depend on her wits to stay alive in hostile conditions, a world away from her sheltered upbringing. Two weeks later, when she walked into the village of Takakeriby, her experience had had a profound effect on her. Unable to stand the claustrophobic and suffocating atmoshphere of the upper-class British society, she realised she was only truly alive when she was travelling alone. Over the 8 following years, she acquired an intimate knowledge of ancient civilisations across the globe. Her family disowned their prodigal daughter and she turned to writing to fund her trips. Famed for discovering several ancient sites of profound archaeological interest, she made a name for herself by publishing travel books and detailed journals of her exploits.